At Peer5, working with our customers to help them reach their goals is our #1 priority. We work closely with our clients and try learn more about their entire tech stack, their pain points and their plans going forward, so that we can help them move forward. 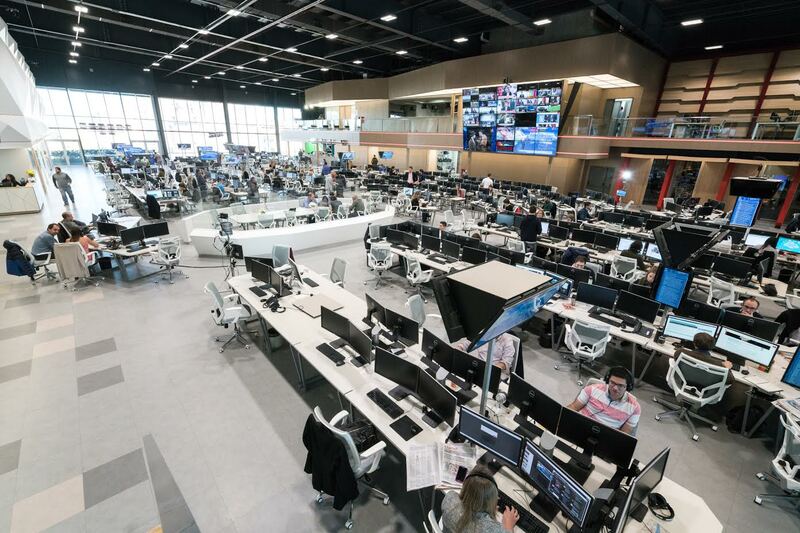 One of our biggest customers is Artear which is the digital arm of The Clarin Group, Argentina’s largest media conglomerate. Artear is well known for having one of the most technologically advanced content production and media distribution centers in Latin America. To learn more about Artear and help us better service them, we recently sat down with Damian Molinari, Head of the VoD platform, and Alejandro Ferrari, the Dev Ops Team Lead. "During some live events, we’ve seen offloading numbers near 90%." Peer5: Can you tell us a little bit about your roles and what you’re working on? DM: At first, my main responsibility was to make the Group’s platform as stable as possible, and to start thinking about whether we should continue to use the current VoD platform in the future, or whether we should build something new and more flexible for Artear. I mainly focus on the technology side of things, but we always work side-by-side with the business unit as well. Specifically, it is really important for the business to improve the advertising side of things. Right now, we’re trying to show more ads and better ones, so that we can improve views and conversions. It’s really important that the technology unit and the business unit work together to develop our projects so that we can have one single solution for the whole Group. AF: My challenge is mainly to support all of the websites that we have. We tend to have many very different user profiles. News sites commonly have peaks of thousands of users at one moment or another, and that presents us with a very particular challenge. But we also have an entertainment site, which is where our most watched TV shows exist. We have a whole ecosystem here surrounding our sites where we can have online promotions, online voting and other things. We have to have a whole platform to provide all of the services to the digital part of these TV shows. This means that we have a few very different challenges. News is very unpredictable. That is very interesting for our business. Entertainment has other challenges and the whole operation is 24/7. The TV never sleeps. "What we saw with Peer5 is that they are very open to listening to us and working with us. They would make a feature for us, which is very personal attention"
Peer5: Can you walk us through some of the technologies you use? You’re involved in the hls.js community, correct? AF: Yes, we work with hls.js. We work with Kaltura. We chose to use HLS as the main streaming protocol because it’s the most compatible. Of course, Apple created this great protocol and now it’s basically a standard. DASH is still very new, it’s not as widely supported yet. We’re also moving towards a more open-source approach, which includes video.js. The video.js community is growing a lot and has seen high levels of adoption. As a result, it’s now compatible with lots of technologies, as is Peer5. We try to make use of the open source community as much as possible when it comes to software. We want to know that if we need to go partner with someone, our technologies will already be compatible. For example, with HLS, we know that Peer5, QoS analytics vendors or any other technology will be able to work with it and will generally integrate at the player level. In general, we really try to work with the standards in the market. We need to be really conservative with any kind of virtual content. Yes, our workflow for the generation of the content is very complex. The content is always moving around inside of our production because we’re always sharing with different teams, different brands, etc. inside of the group. One of our new projects is to allow for increased content sharing between the different divisions of the Clarin Group. However, ignoring a few specific processes, we use a very standard distribution chain. It’s incredibly important for us that Peer5 works inside of this workflow. Peer5: What are the other major technology projects that you guy are working on? AF: We are working on live right now, which is difficult in part because of all of the different channels: Facebook, YouTube, our own platform, etc. The TV stations need to be everywhere. Some users like to view the broadcast from inside of Facebook or YouTube, others try to go to our sites and there’s a big device mix, so you need to be everywhere. Live is an incredibly complex topic right now. We also have a mix of delivery solutions: we have our own CDN, external CDNs, a P2P CDN. So you add that complexity in as well as different broadcast channels. From the technology perspective our main challenge is to create great experiences for users and brands anywhere. We’re working a lot on one click distribution to many different media channels as well. DM: We’re also working on VR and 360. Basically we’re in the process of rolling it out to the new platform that we’ve developed so that we can be very aggressive when it comes to the amount of time it takes to roll out new features like 360, live integration and others. We need to be able to develop these features and deploy them very quickly, without knowing exactly what features we’ll need to add in the future. Peer5: So you alluded to this a bit, but what are the coming trends in VoD? AF: We recently entered into a partnership with 2 very important Argentinian retailers to distribute 120,000 VR cardboards. The goal is basically to make the technology more accessible by making it free. And part of that is that we’re going to create more content for VR and 360. It’s still very new, it’s a very young initiative that doesn’t have massive bandwidth needs today, but we’re trying to help spread the technology. We believe it can be an indispensable viewing medium for our customers in the future. We also have exclusive production for 360, and the new newsroom we have is set up for 360 and has the cameras. So 360 is a very near term, very big goal within the company. Peer5: And Peer5 is active right now, correct? How is P2P working for you? AF: Yes. Peer5 is active right now, all our sites are using them. They’re on mobile and on desktop. It’s working quite well for us so far. During some live events, we’ve seen offloading numbers near 90%. VoD is a different challenge and offloading is lower at these times, maybe closer to 40%. But, a lot of news is short videos, 3-4 minutes, and have incredible peaks, plus we have other peaks during rush hour. The ratios with Peer5 during these peaks are very impressive. It’s very nice. Eventually, we’ll try to deliver almost half of our traffic with Peer5. There are some constraints with WebRTC not supported everywhere on the mobile web. We have a site with 80 percent of the traffic from mobile. Also, the SDK from Peer5 is very new and we need some time to test and integrate, but it’s in our plan for the next version of our application and we think it will be good for native apps. "it not only saves money, but we’ve seen improvement in the user experience on our sites by using Peer5 as compared to without Peer5." Also, in the Latin American market, hardware is usually a little older. That presents a very complex challenge. Many people are still moving to 4G, there’s still a lot of 3G. So video can be very challenging in the region. P2P technology helps us reduce this usage pain, so it not only saves money, but we’ve seen improvement in the user experience on our sites by using Peer5 as compared to without Peer5. DM: Buenos Aires is one of the main places where we need to have lots of streaming capacity. But the rest of the country is also important and many areas outside of Buenos Aires don’t have great connectivity. Peer5 helps us here because people in every region have better user experiences when we use Peer5 for media distribution. P5: That’s great. Hopefully they add more 4G soon, it’s important for businesses and for consumers. I want to ask one last question: why did you pick Peer5? AF: I think one of the important points is why P2P, which we discussed, and then why we chose Peer5 and not one of their competitors. The market is not very big, it’s not more than two or three competitors. But what we saw with Peer5 is that they are very open to listening to us and working with us. They would make a feature for us, which is very personal attention. I think it’s very important for a company that is growing quickly to maintain that superb quality of service. Be with the customer in this region where there are still very present needs in terms of connectivity. Technology like Peer5 is very important for us. And they explore all the potential on this side of the world. But support is very important and this is one of the most important reasons. A big thank you to Damian and Alejandro for being great customers and for participating in our interview. Artear, and the entire Clarin Group, are consistently pushing boundaries in the digital landscape. We’re really excited to be working with the Artear team. So far we’ve seen some great results, but we know that our partnership has only just begun. Peer5 operates a WebRTC-based peer-to-peer content delivery network (CDN) for massively-scaled video streaming. Peer5 turns the peak demand issue into an advantage - the more users that watch, the more effective the streaming becomes for everybody. By increasing our customers’ streaming capacity by a factor of up to 100x, Peer5 ensures perfect video playback with no buffering for millions of viewers every day.